French doors are a pratical and attractive addition to any home allowing easy access between the house and garden. At ASPECT Windows and Doors we supply and fit French doors which will compliment your home whatever the style of your property. The uPVC construction ensures a door which is safe and secure while being easy to use and virtually maintenance free. 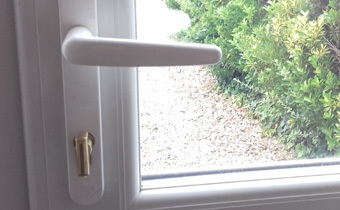 The multi locking points make it harder for a potential intruder to force entry than traditional wooden French doors and the double glazing reduces heat loss thereby saving you money. Our French doors can be surprisingly inexpensive and we have plenty of satisfied customers who found the cost of new doors well within their budgets. If you would like to improve your home with a set of new French doors then why no contact ASPECT Windows and Doors today and see what we can do to help. One of the main advantages rear French doors have over other types of door on the market, is their ability to compliment almost any style of property. Although French doors are often considered to be a traditional feature, depending on the use of material, colours and design you choose, they can work well in the most up to date properties. French doors supplied by ASPECT Windows and Doors are available in a choice of colour shades and include the added benefits that uPVC has to offer. All glass windows and doors conform to FENSA regulations. At ASPECT Windows and Doors we use Pilkington K Glass™ and Planitherm Glass™. The cost of energy has shot up recently so any way in which energy can be saved is a good thing. New regulations have been introduced in the UK to control the requirements for energy efficiency. Energy ratings are now required when buying ans selling a house and the glass used in windows and doors plays an important role. Heat loss through glass is usually expressed as the 'U' value. Windows and doors which include glass with lower U values can help the energy saving capacity of a property. If you would like to know more or are interested in a quote we would be happy to help. Phone us on 01438 311 412, email us at enquiries@aspectwindowsanddoors.co.uk or fill in our enquiry form and we will be in touch as soon as possible. The glass we use in all projects is the latest "A" Rated, energy efficient, low emissivity (Low-E) glass. All of our windows, doors and conservatories are built with security, strength, durability as well as style. 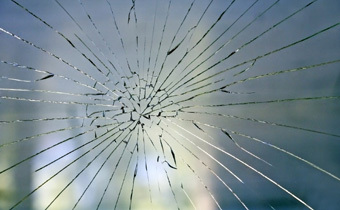 At ASPECT Windows and Doors we offer a full repair and maintance service for doors, windows and conservatories.